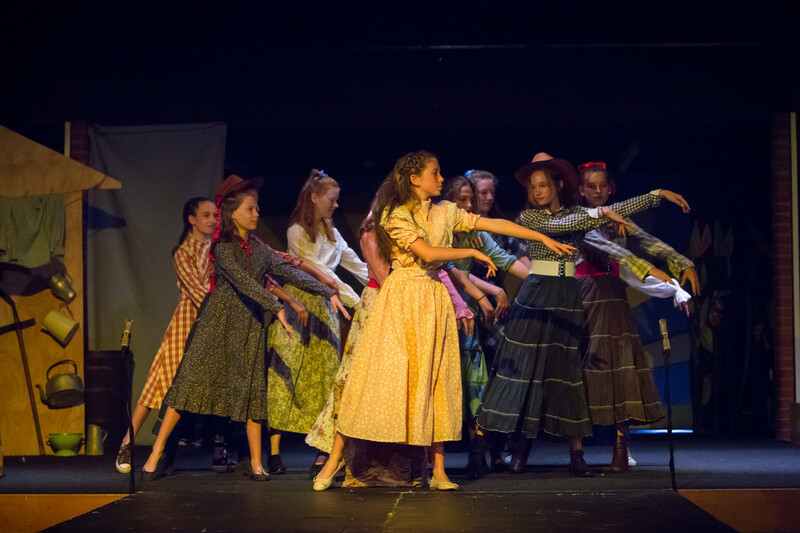 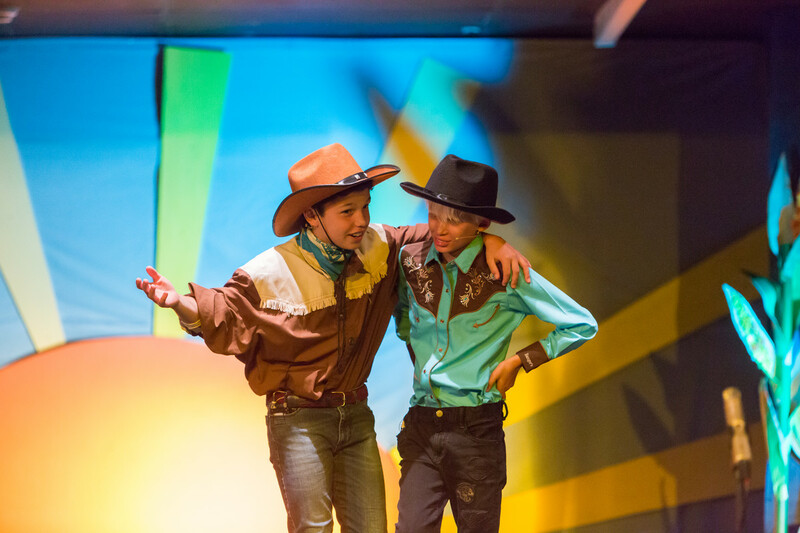 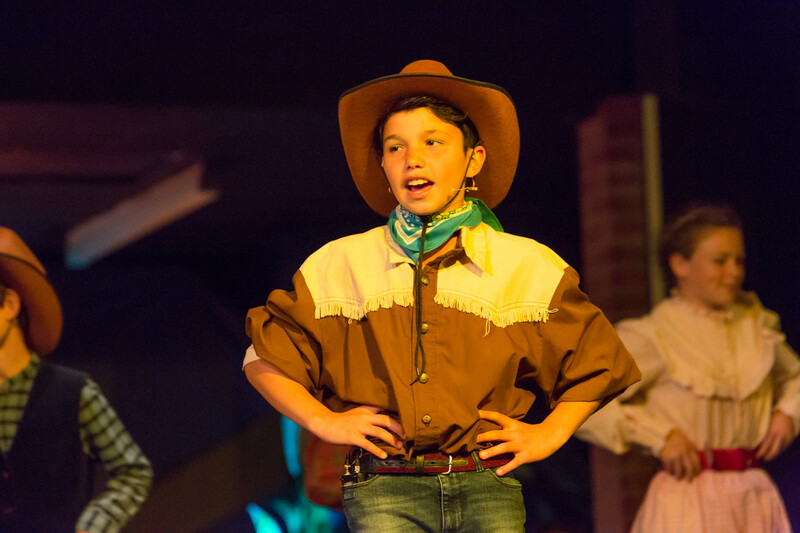 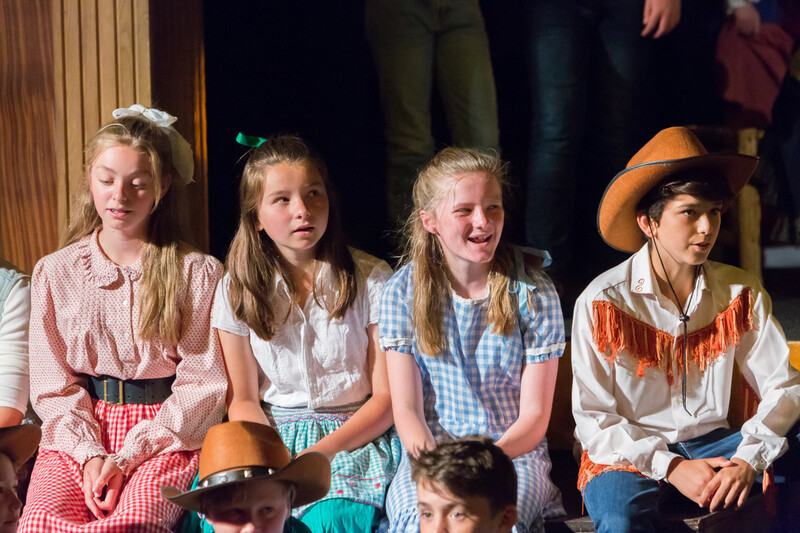 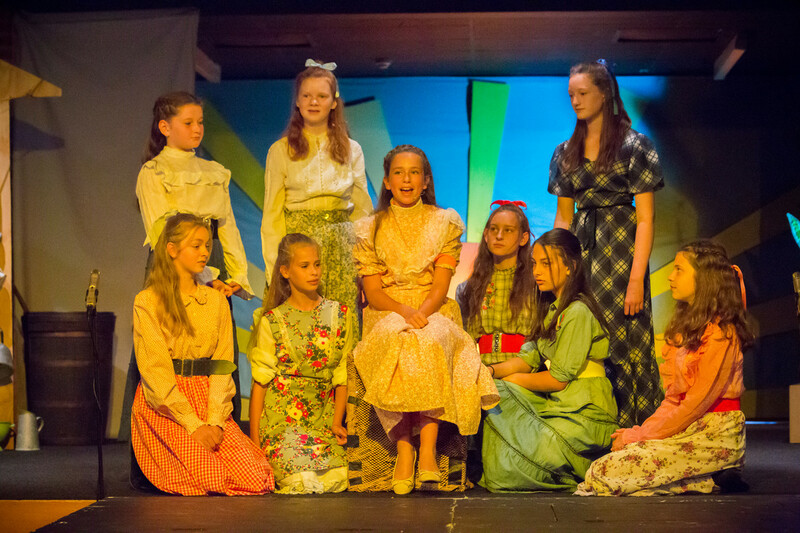 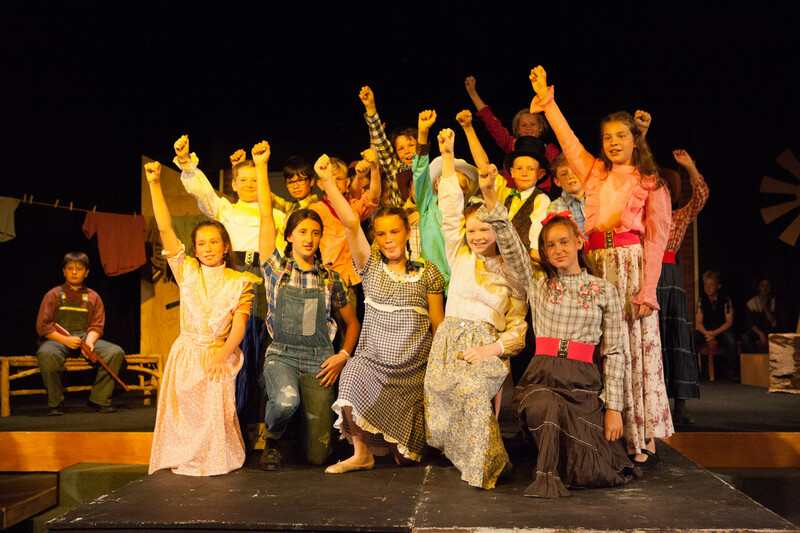 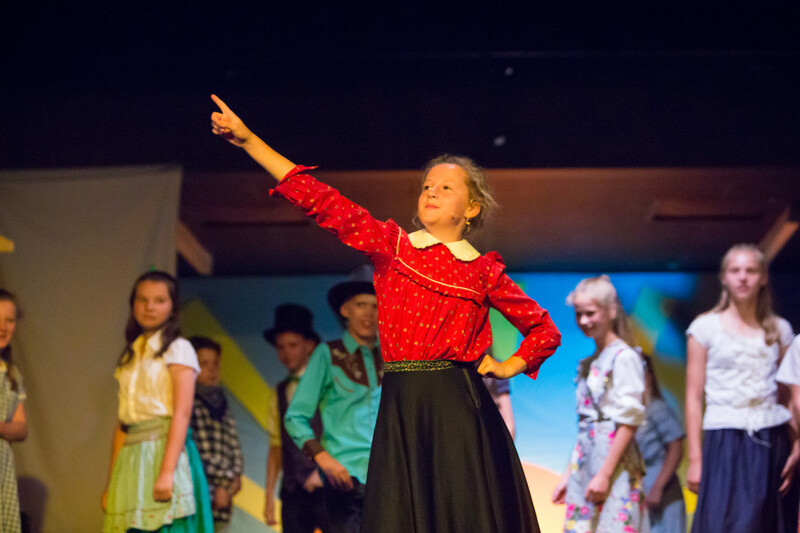 Form 5 pupils brought the Wild West to Cranleigh on Tuesday 26th June. 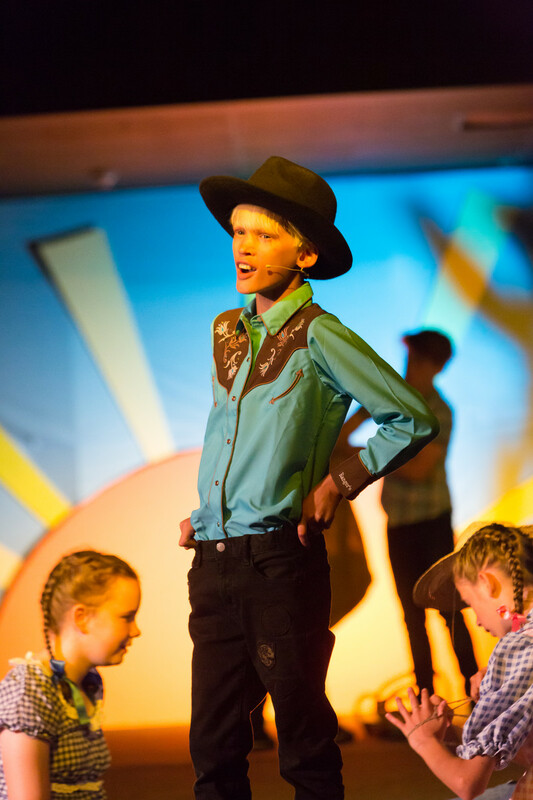 The Wyatt Hall was filled with ‘Yeehahs’ and ‘Howdys’, popular songs from Rodgers and Hammerstein and a flurry of two-steps and line dancing on the stage. 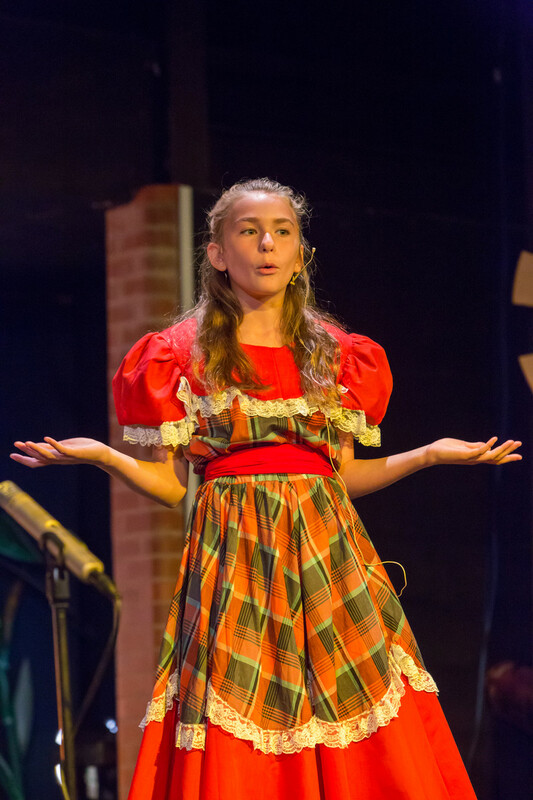 Costumes of denim, tartan and floral prints were set against the ramshackle homestead of Aunt Ella, played by a feisty and delightfully dominant Sophie PT who confidently put the cowboys in their place. 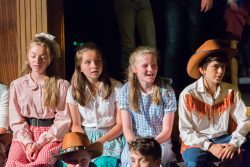 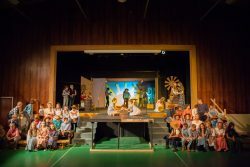 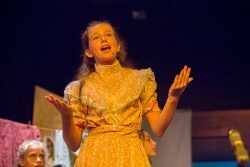 The musical’s main focus is on a cowboy named Curly, a suave Stirling S and the girl he wants to marry, Laurey, a headstrong Nicola O, whose superb singing performances were one of the highlights of the evening. It is their troubled relationship which unfolds on stage, as they slowly begin to realise they are meant for each other, despite tussles with Jud Fry, the shady Will S.
Running alongside this relationship, a subplot involves the boy-crazy, Ado Annie played brilliantly by Isabel C. She’s engaged to the mysterious and slightly untrustworthy peddler, James M, who doesn’t want to marry her, whilst another man, Will Parker, a suitably dashing Hamish R, desperately wants her to be his bride. 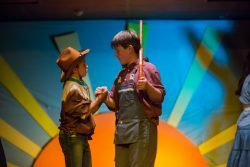 They fight their way throughout the performance until Ado Annie is encouraged to curb her wild ways. 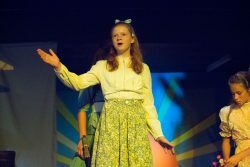 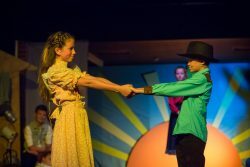 The message that love will win in the end is celebrated and the show ends with a rousing rendition of the song “Oklahoma!” which I am sure the Form 5 actors will have racing through their heads for weeks to come. 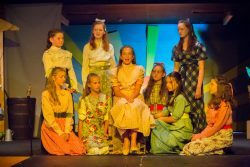 A production of this scale would not be possible without the support of all the staff and in particular to the wonderful costume and stage designers, Lita Everett, Liz Turner, Pippa Charlesworth and Rosie Sharpe. 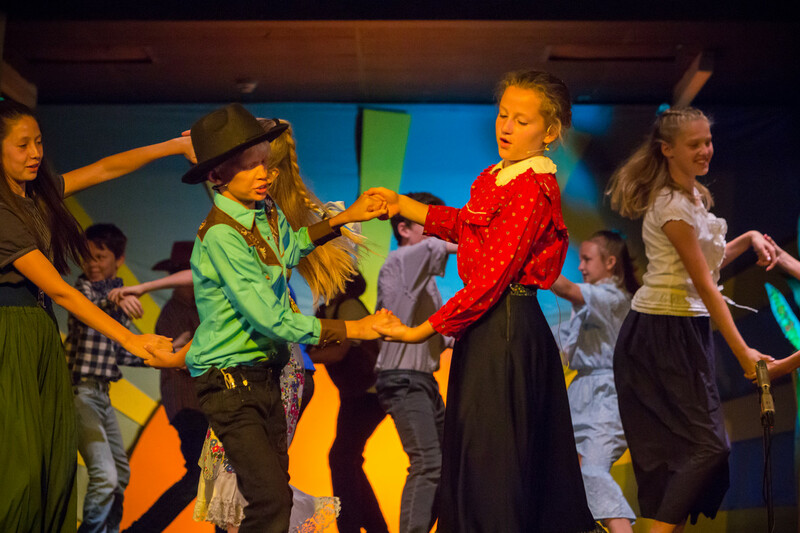 Thanks also to the Creative Arts staff Phil Waller, Ruth Williams and Kimberley Vowles for their drama, music and dance direction and to Nicholas Johnston who worked with members of the Form 6 Creative Arts team on sound and lighting.